Big surprise; The Yankees are signing marquee free agents left and right. 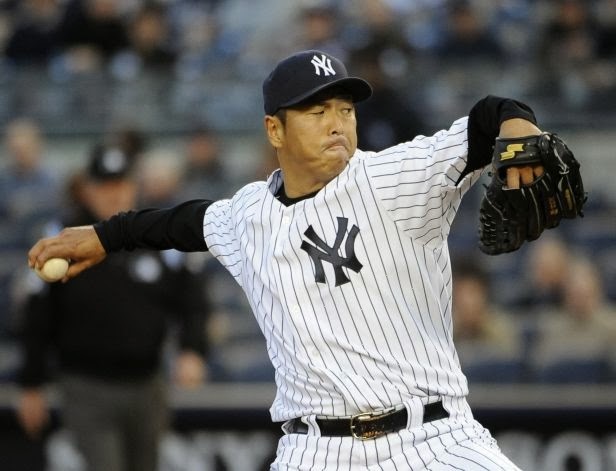 They made another big splash Friday night when they resigned staff ace Hiroki Kuroda to a one year, 16 million dollar contract. This move is seen as slightly risky because of Kuroda's increasing age, (39 in February) but it certainly need to occur for the Yankees to continue to be competitive. The Yankees took an embarrassing loss Friday morning when they lost star second basemen Robinson Cano to the Seattle Mariners, but have seemed to bounce back with the signings of former Cardinals/Giants/Mets Outfielder Carlos Beltran and Pitcher Kuroda. Earlier this week, they also signed former Red Sox outfielder Jacoby Ellsbury, filling the need of the recently departed Curtis Granderson. The most storied franchise in the history of american sports has certainly abused other teams in the free agent market in prior years, and appear to be going back to that strategy as they continue to look for pieces to help solidify the team. They have already signed Kelly Johnson to take over for Cano at second base, but they will continue to look for third base help in the event of an Alex Rodriguez suspension. They have options such as resigning Mark Reynolds or Kevin Youkilis, but could also look to stick with Eric Chavez in that role. Another free agent they acquired earlier this offseason was catcher Brian McCann, who could also DH for them if needed. In the grand scheme of things, all these roster moves make the Bronx Bombers a very old team once again, and we may see these moves come back to haunt them in a couple of years. But for now, New York could be competing for an AL East crown once again.